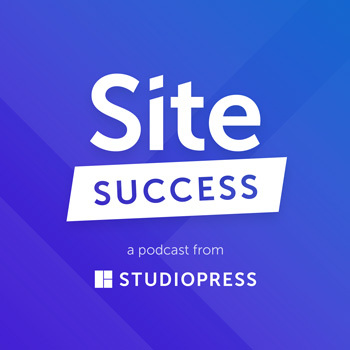 Ms. Simone is co-founder and Chief Content Officer of Copyblogger Media as well as an educator, speaker, and the devious mastermind behind the podcast Confessions of a Pink-Haired Marketer. Sonia appeared in the written series over on Copyblogger.com and stopped by again to drop some writerly wisdom on us. You can also see Sonia Simone live at Authority Rainmaker, a carefully designed live educational experience that presents a complete and effective online marketing strategy to help you immediately accelerate your business. In addition to Ms. Simone you’ll have the opportunity to see Dan Pink, Sally Hogshead, Ann Handley, punk legend Henry Rollins, and many other incredible speakers live. 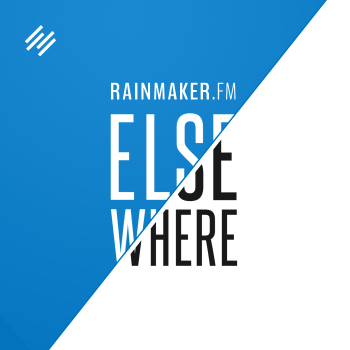 Get all the details at rainmaker.fm/event, and we look forward to seeing you in Denver, Colorado, May 13th, 2015. 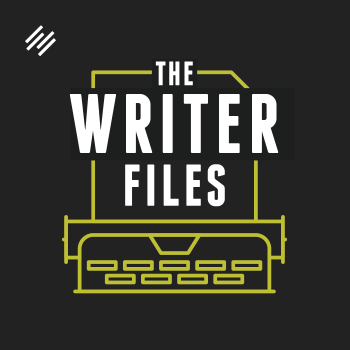 Kelton Reid: These are The Writer Files, a tour of the habits, habitats, and brains of working writers, from online content creators to fictionists, journalists, entrepreneurs, and beyond. I’m your host, Kelton Reid: writer, podcaster, and mediaphile. Each week, we’ll find out how great writers keep the ink flowing, the cursor moving, and avoid writer’s block. 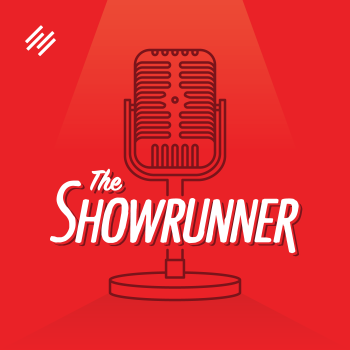 Coral-coiffed marketer and prolific online publisher Sonia Simone stopped by the show this week to share her writing secrets with us. 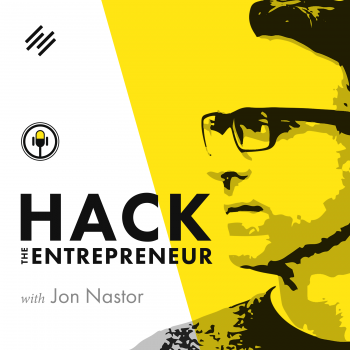 Sonia is cofounder and chief content officer of Copyblogger Media as well as an educator, speaker, and devious mastermind behind the podcast Confessions of a Pink-Haired Marketer. Sonia appeared in the written series over on Copyblogger.com and stopped by again to drop some writerly wisdom on us. 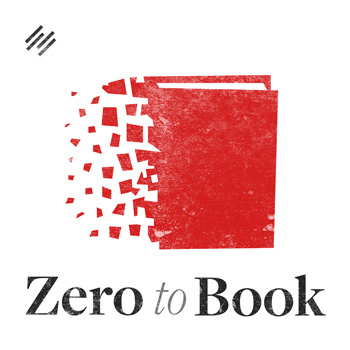 On this week’s episode, Sonia and I will chat about why you should read outside your echo chamber; Sonia’s secret of reading the tea leaves; productivity for flakes, head cases, and other natural disasters; and why the more you care, the more you’ll write. Welcome back to The Writer Files, Sonia. Sonia Simone: It’s just lovely to be here, Kelton. Always good to hear your voice. Kelton Reid: Thank you so much for blessing us with your presence here on the Files. Listeners may not know or remember that you were on the written series before, but I’ll post a link to that in this show now so that they can find that. Let’s start talking about you, the author. 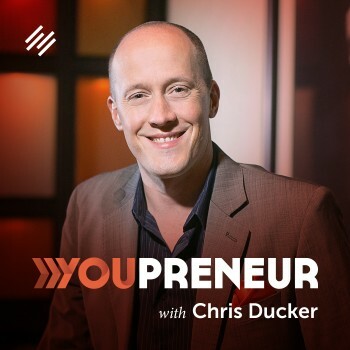 For listeners and writers that don’t know who you are, who are you, and what is your area of expertise? Sonia Simone: My name is Sonia Simone, and I am the chief content officer of Copyblogger Media, which I kind of dig, because two years ago there was no such title as ‘chief content officer.’ I think that’s kind of cool. I suppose you would say content is my area of expertise. I think more specifically, I have a knack for writing things that create some connection and resonance in other people and then teaching them how to be more awesome at the things they want to do, and more specifically, how to be more awesome at having a business and finding clients and keeping their sanity and all that good stuff. 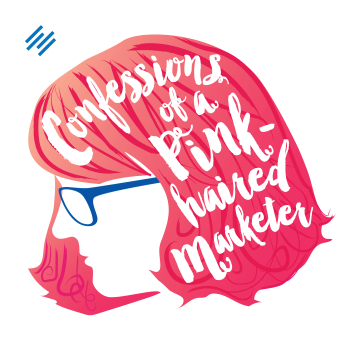 Kelton Reid: This might be a good time to mention that you are a podcaster as well and your show, Confessions of a Pink-Haired Marketer — awesome show, I love it — is over at Rainmaker.FM. The specific URL for that one is? 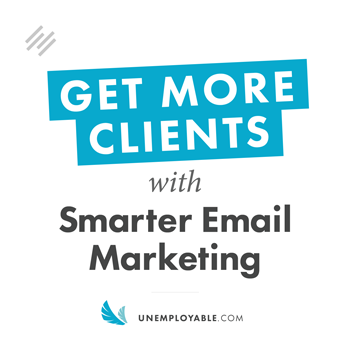 Sonia Simone: I have an easy to remember one, which is PinkHairedMarketer.FM. Kelton Reid: Very cool. 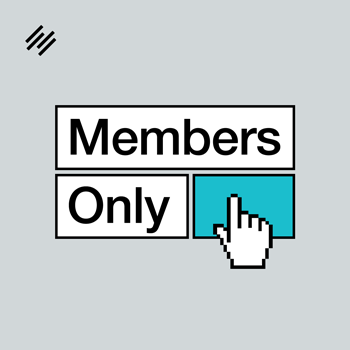 Over there, you deliver advice, encouragement, and the occasional rant from outside the drone of the marketing mainstream. I love it. Where else can we find your writing? 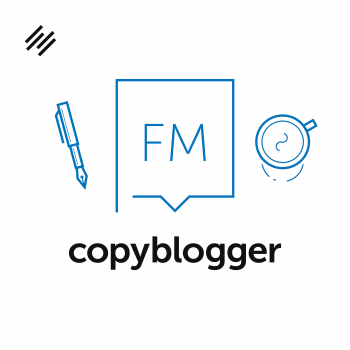 Sonia Simone: I do show up a few times a month over at Copyblogger at the Copyblogger blog, always glad to connect with people there. A lot of my work these days is audio, the podcast but also audio interviews. 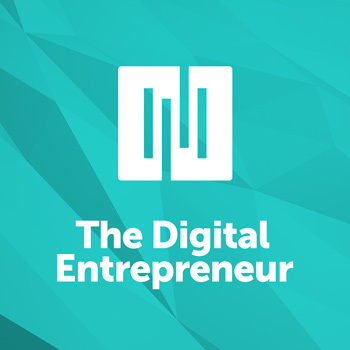 I also do in-depth interviews in our community, Authority, which is a community of content marketers — really cool, smart folks. I spend a lot of my time there. Kelton Reid: I know it well. I guess we’ve covered exactly what you’re working on now. Do have any other big projects in the pipeline? Sonia Simone: I’m excited about this year, because we are returning to our roots in education. 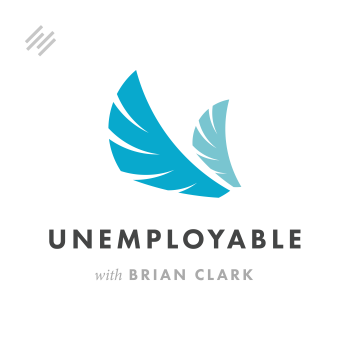 I am wrapping up a project with Brian Clark that’s a training for freelance writers on how to get a lot more clients and have better relationships with clients, how to deliver more services to clients. That is part of our Certified Content Marketer program. The minute that I’m done with that — actually before I’m quite done with it — we’ll be launching into a reboot of our teaching sales course, which is a course about building a business based on teaching people to do things. I find it endlessly hilarious that when I was an undergraduate and desperately wanted to go to grad school, I didn’t because I couldn’t see myself teaching for a living. Of course, now I teach for a living. I’m going to be doing a lot more teaching this year, which is awesome. Kelton Reid: Exactly. Let’s talk about your productivity a bit. How much time per day do you read or do research? Sonia Simone: That’s a good question. There are no days when I’m not reading at least two hours a day. It can go up from there depending on what I’m working on. Two to four, I would think. It’s a lot of time. I research for the projects that I’m working on professionally, but it’s also very important to me to have reading time in things that have nothing to do, or seemingly nothing to do, with the business. It’s just very important to me to keep putting things on my brain coming from other places, whether it’s a Terry Pratchett novel or an interesting piece of neuroscience or something that comes from outside my echo chamber. It’s really important to me. Kelton Reid: Before you actually sit down and start to write — I’m assuming you sit, but I actually don’t know — do you have any pregame rituals or practices? Sonia Simone: I have to have some kind of a caffeine-free tea. I alternate between a couple of teas that are important. I think the words are apparently somewhere in the tea bag, and I have to steep the tea and get the words out or they don’t like to come. Coffee works, but it doesn’t work as well as tea for some reason. Kelton Reid: You’re literally reading the tea leaves and then transcribing them? Sonia Simone: That’s right. That’s where I get my wisdom. Kelton Reid: Yeah, sure. What would you say is your most productive time of day and locale for writing? Sonia Simone: Mid-morning, which is weird one. I don’t know if a lot of people are good then, but midmorning. I have to be suitably caffeinated before I start the tea. Like a lot of people who are parents, I have pandemonium in my house until about 8:30 in the morning. Right after that, about 9:00, I get started on my focused productive time. Between that and lunchtime is when I really seem to get the most done. Afternoons are a total dead zone for me, so I usually work out. Kelton Reid: Do you like to listen to music or do you prefer silence while you’re writing? Sonia Simone: It has to be very silent. I can’t have music. Lisa Barone, in her Writer Files, had a great rain — like the sounds of rain. Sometimes I kind of dig that, but usually it’s just dead silence. Kelton Reid: I love that. She uses some apps that do coffee shop noises or rain. Yeah, I do like the rain one, for sure. How many hours a day do you spend writing, excluding email? I know that you do a lot of email too. Sonia Simone: There’s a lot of email. I think I should be able to count the email. It varies a lot. I always write. I write every day. I write something every day. Some days it could literally be 20 minutes, and some days it can be three or four hours. I would say probably average, working on some actual project, it’s probably an hour to two hours. It varies a lot, and also it depends. Some days are heavy audio content days. That’s a 20-minute day. I’ll spend 20 minutes writing a script and then more of my time actually recording it. Kelton Reid: Do you believe in a writer’s block? Sonia Simone: I believe in deadlines. If I don’t have deadlines, it’s not just writer’s block. It’s just nonexistent. I have to have something I’m aiming for. I think it hits people. It doesn’t hit me because I’ve always got a deadline. 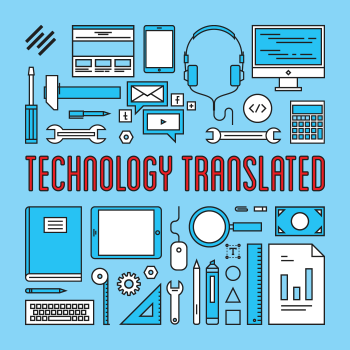 Kelton Reid: Let’s talk some about your workflow. What hardware or typewriter model are you presently clacking away on over there? Sonia Simone: Did you just put that typewriter in there just for Robert Bruce? Kelton Reid: I did, yes. Sonia Simone: I use a rather elderly MacBook Air. I think it’s the most perfect writer’s device ever created. It is getting old and slow and tired, and I don’t ever want to get rid of it. I don’t want to replace it with another one either. I love this machine. 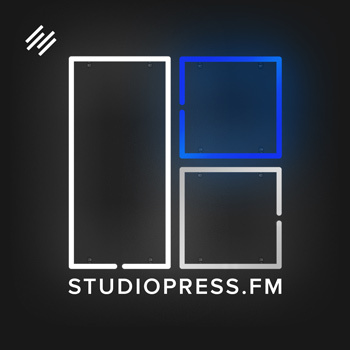 Kelton Reid: Do you have some software that you use most for your writing and general workflow? Sonia Simone: Almost exclusively, I write in Text Editor. I don’t want any dancing baloney when I’m trying to get writing done. I keep things as minimal as possible. If it’s really rough, if I’m really struggling, I will go to pen and paper. Kelton Reid: Do you have any methods for staying organized that you want to drop on us? Sonia Simone: I did a full, rather confessional podcast on this. The title of the podcast was Productivity for Flakes, Head Cases, and Other Natural Disasters if that gives you some indication. Kelton Reid: Yes. Yes, please. Sonia Simone: How do I stay organized? I have two modes. I have things that I am extremely crisp about, for example, producing the podcast. If I’m not very crisp and I don’t have a very, very well-defined system, then it’s a disaster. Those are my two. It’s either got to be totally on, or it’s totally off. I have all manner of things. The main thing for me is to keep everything visible. For example, for my podcast, I have a one-sheeter that has the recorded episodes, the episodes that I’m going to record, when I’m going to record them, have they been uploaded to the production team, all that stuff. I can see it at a glance because I can’t keep anything in my head for five seconds anymore. Kelton Reid: Do you have any secrets for beating procrastination? Sonia Simone: Yeah. Wait until you’re just out of your mind with panic on a deadline. That works for me. Kelton Reid: How do you unplug at the end of a long day of writing? Sonia Simone: My favorite way to unplug — some of you who have connected with me on social media know this — I love nothing more than to sit down with my nine-year old, almost 10-year old and play a nice hour of Minecraft. It is my favorite thing right now to just veg out and forget all my troubles. Let’s talk about creativity now. Can you define creativity in your own words? Sonia Simone: I think that we fetishize creativity, and we make it into something that only some professional cast of honored creatives can do. I think anytime you bring something into the world that hasn’t been here before, you have been creative. That could be a pie. It could be a sweater. It could be a Facebook post, especially if it’s a Facebook post that maybe reaches out to a friend or somebody and helps them with something. I think we get very high-falutin’ about creativity. All humans are creative. We’re a creative species. We’re always bringing forth new and interesting things. I think we should get over ourselves a little bit about it. Sonia Simone: Hmm, my muse at the moment … I’m very pragmatic about these things. My muse at the moment is an upcoming vacation that I need to get some money in the bank for. That’s my muse. Isn’t that awful? It’s terrible, isn’t it? Kelton Reid: It’s perfect. What do you mean? When do you feel the most creative? Sonia Simone: I feel the most creative when I feel the most in balance. I feel very creative when I’m getting plenty of exercise. The more walking I do, the easier the words will come and the more they seem to be worth reading or listening to. I need to have things going pretty well. My family has to be in good shape. My sleep needs to be in good shape. When everything is in a good balance, then the creativity seems to come a little more easily. Sonia Simone: Moving other people makes a writer great, moving them to something worthwhile. Kelton Reid: Do you have a few favorite authors at the moment? Sonia Simone: Oh, yeah, I always have lots of favorite writers. I’m really enamored of a book by a guy named Jonathan Haidt. He wrote a book called The Righteous Mind, which has really been ping-ponging around my brain for a couple months now. I am on a jag with Terry Pratchett right now. I am just going through Terry Pratchett novels, and thankfully there’re a billion of them so I can satisfy my jones. Those are two people. Italo Calvino is one of my enduring favorites. Often, if I need a little inspiration, I’ll actually sit down and copy out a couple of pages of one of his books. It’s kind of almost a writerly meditation. Kelton Reid: Yeah, his stuff is powerful. Love it. Sonia Simone: Can I swear? Kelton Reid: Of course. We’ll bleep it out. Sonia Simone: My best-loved quote is something that a friend of mine — she’s a romance writer. She writes as Ann Stuart, and her name is Krissie Ohlrogge. A long time ago she said this to me, and this has been my marching orders for 15, 20 years. It’s on my corkboard right now. She said to me in her wise way, “**** it out, press on.” That’s my favorite quote. Kelton Reid: Let’s do a couple of fun ones. Who is your favorite literary character? Sonia Simone: Commander Vimes from the Pratchett novels. Kelton Reid: If you could choose one author, living or dead, for an all-expense paid dinner to your favorite restaurant in the world — I have a feeling it’s in Italy — who would you choose? Sonia Simone: Let’s see. Unfortunately, I think most of the writers you love the best are not very good company. I bet Calvino would be an exception. I would love to take Italo Calvino to dinner. Kelton Reid: I said Italy, but I probably meant France. Sonia Simone: There’s good options in both places. Kelton Reid: Who or what has been your greatest teacher? Sonia Simone: My family has been my greatest teacher because taking care of my family, in a multitude of ways, has pushed me to do things I never thought I was going to be able to do. Kelton Reid: Do you have a writer’s fetish? Sonia Simone: I have my fancy fetishy writer tea. I do have a writer’s fetish! I think my fountain pens would qualify as a writer’s fetish. I have an unwholesome and longstanding addiction to fountain pens and good paper. I have a bit of an issue with proliferating pens and inks. I have two drawers full of ink. I have an entire shelf of fancy notebooks and more pens than I’m willing to admit to. Sonia Simone: Know who you’re talking to. Know who you’re writing for. Don’t give up on helping that person and care about that person. The more you care about the person you’re writing for, the more writing you’ll do. Kelton Reid: Where can writers connect with you out there? Sonia Simone: Two places I would absolutely love to hang out with people. One of them is just on Twitter @SoniaSimone, and the other is on the podcast, where I would just dearly love to see your comments and questions and anything else. You can actually ask me questions, and I will answer them on the podcast. That is PinkHairedMarketer.FM. Kelton Reid: I’m going to see you very shortly at Authority Rainmaker here in Denver and actually will probably see you a couple of days after this goes live. Sonia Simone: Yes, indeed, yes. I’m looking forward to it. For those who don’t know, Kelton and I could fairly easily walk to one another’s houses, so of course, we see each other three times a year at company meetings out of state. Kelton Reid: Exactly. I’ll drop the information about the conference, which will be happening very shortly. I’m really looking forward to hearing you speak there. Sonia Simone: I’m looking forward to it too. It’s going to be exciting. It’s a fun event. 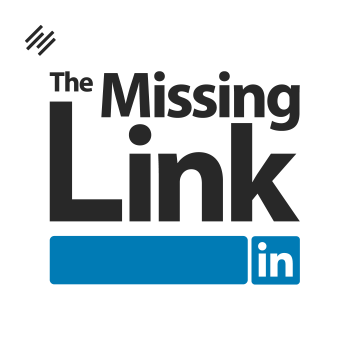 It’s an awesome event for making connections. I’m excited. Kelton Reid: Very good. See you out there. Sonia Simone: All right. Take care. Kelton Reid: You can see Sonia Simone live at Authority Rainmaker, a carefully designed live educational experience that presents a complete and effective online marketing strategy to help you immediately accelerate your business. In addition to Ms. Simone, you’ll have the opportunity to see Dan Pink, Sally Hogshead, Ann Handley, and punk legend Henry Rollins as well as many other incredible speakers live. Get all the details at Rainmaker.FM/Event. We look forward to seeing you in Denver, Colorado, on May 13th, 2015. 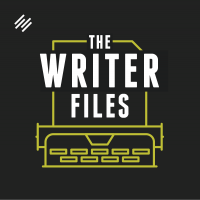 For more episodes of The Writer Files and all the show notes or to leave us a comment or a question, drop by WriterFiles.FM, and please subscribe to the show on iTunes. Leave us a rating or a review, and help other writers find us. You can find me on Twitter @KeltonReid. Cheers. See you out there.